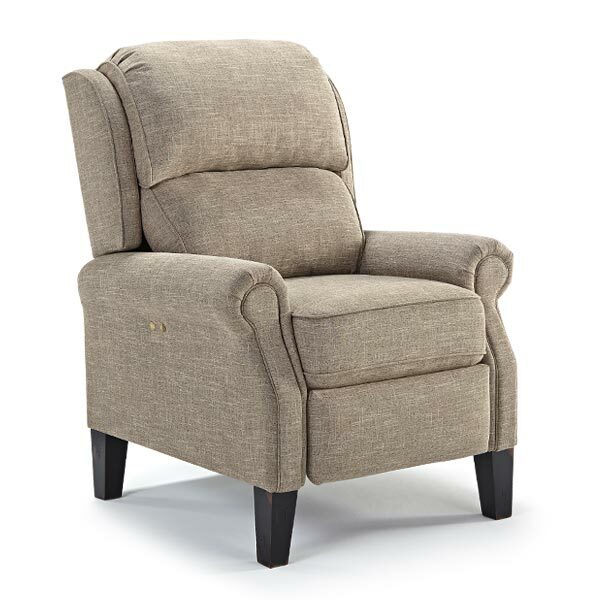 The Joanna is a masterpiece in the growing category of high-leg recliners. Working closely with mechansim supplier and industry leader Leggett & Platt, we have developed a unique recliner that combines luxurious style and ultimate relaxation. Joanna features a double bustle back, rounded arms and a tall seat height. Beautiful cording accents are also present throughout the chair. Joanna is available in all fabrics so you can find the perfect fit for your home. Also available with Power touch buttons that allows you to recline to seemingly infinite number of positions. Hundreds of fabric options, and four finishes for the legs allows for you to truely custom build to your liking.